Rasika has a secret life. To her family and friends she is a dutiful Indian daughter, stylish and beautiful with a great career, living at home with her parents and agreeing to an arranged marriage--which for good luck, her horoscope says needs to happen before her looming twenty-sixth birthday. The secret that would shock her family is that she sneaks away on occasion to have brief affairs with unsuitable men, something she vows she will stop once she is married and living the life her parents want her to have. Abhay, a childhood friend of Rasika's younger brother, can't seem to commit to anything after college and lived in a commune following graduation. He is back at home with his parents, working as a temp and taking on assorted dead-end jobs, trying to figure out what to do with his life. 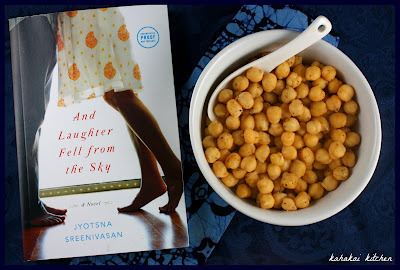 In And Laughter Fell From the Sky by Jyotsna Sreenivasan, Rasika and Abhay reconnect by chance in and find an attraction quickly brewing. It turns to love for Abhay, but Rasika wants to deny her feelings, finding him immature and unsophisticated, plus his caste makes him a choice that her family would never approve of. Will these two lovers be able to find their places in the world and discover the strength to make a lasting relationship? I love a good romance--especially one where there are a lot of obstacles to the couple getting together and Rasika and Abhay certainly have a lot of obstacles. Although I appreciated the storyline right off the bat and the book moves along quickly, going back and forth between the perspective of the two main characters, it took some time for me to connect with Raskia and Abhay. I found them in the beginning to be hard for me to relate to--even somewhat unlikeable at first.The book's setting moves from Kent, Ohio to Portland Oregon to India, and I found myself not fully committed to the book until we reached Portland--where Abhay goes to live and Rasika makes a secret trip to visit. Since The City of Roses is my old hometown, I loved the author's descriptions of the city and some of my favorite places and it was also the point where I started to like the two main characters and the book flowed from there. 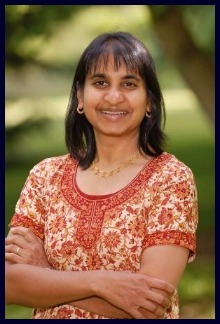 This book is a well-written look at Indian-American culture and the challenges of wanting to take another path than the one your family expects you to take or even completely laid out for you. A good summer read, not too heavy and good for vacation days and the beach. And Laughter Fell From the Sky is the debut novel from author Jyotsna Sreenivasan, the daughter of Indian immigrants herself. Born and raised in Ohio, now living in Idaho, her short fiction has appeared in many literary magazines and she has received literature grants from the Washington, D.C., Commission on the Arts and Humanities and authored several nonfiction books. And now to the food. There was a strong food presence in the book--dates, families eating together, parties and celebrations, etc., and it included both Indian food and other non-Indian dishes. I had a dish in my head that I wanted to make to represent the story--sort of a modern, American take on an Indian classic but I first procrastinated, then my week got completely away from me. I got home last night and had no more energy than to make what has become one of my favorite snacks/mini-meals, One Minute Channa from Quick-Fix Indian by Ruta Kahate (you can read my review of that cookbook here). It's almost not even a recipe but it is so delicious, I find myself making it about once a week and consuming it for lunch or dinner. 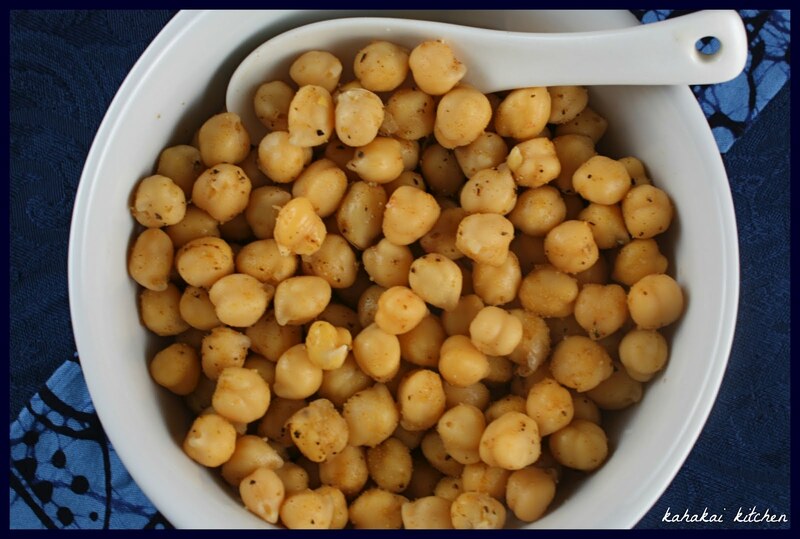 Place the chickpeas in a bowl, add the garam masala, lemon juice, and salt, if using, and toss well. Notes/Results: Most would eat this as a side dish or snack but I just like to plop myself down with a bowl of this and call it dinner. ;-) So simple, so good. 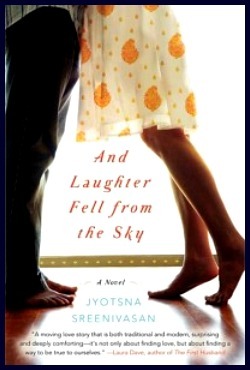 Note: A review copy of And Laughter Fell From the Sky was provided by the publisher and TLC Book Tours. I was not compensated for this review and as always my thoughts and opinions are my own. I have a bit of a fascination with Indian culture so I'd LOVE this book! I have a feeling it would be perfect beach reading for a vacation I'm taking in two weeks. Win. This channa would also be great to have in the fridge for when I get back! Quick and easy. I love reading books that are set in cities I know; that wasn't the case with this one for me, but I know exactly what you mean. It was interesting, how quickly this moved along, even though all the "action" is in their minds, for the most part anyway. Thanks for the recipe. I tend to open a can of chickpeas and toss in a couple of tablespoons of pesto and call that dinner, when I need something quick, but I can see where this would be even easier and very tasty too (plus it obviously suits the book more than my Mediterranean variation!). I'm glad you stuck with this one - it sounds like the characters took a while to grab you but that it was definitely worth it in the end. I've noted this book as a possible read. Sounds interesting. And it is a culture with which I am very familiar. Has there ever been a recipe easier than this? I never would have thought to toss these ingredients together, but they sound wonderful. sounds like an interesting read, and this dish looks wonderful! Hmmm---could this be an upcoming CTB selection? I am pinning this great looking dish. 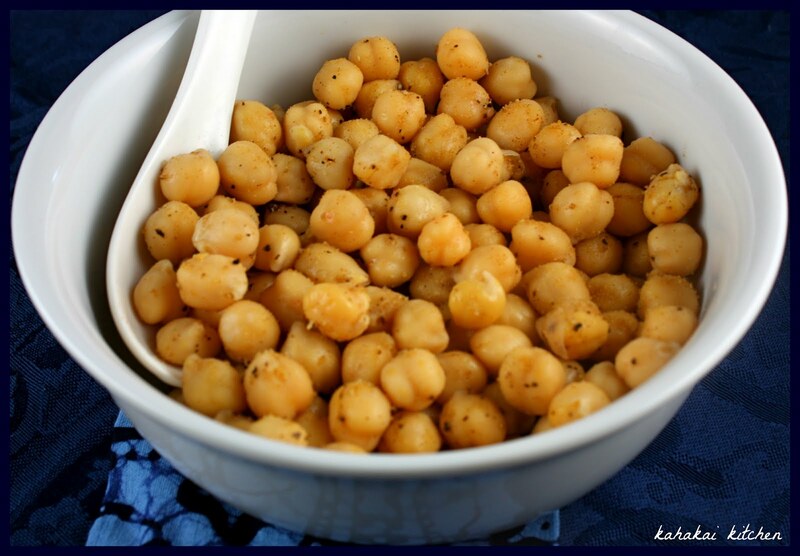 Love chickpeas!